“The preparation, mixing, assembling, altering, packaging, and labeling of a drug, drug-delivery device, or device in accordance with a licensed practitioner’s prescription, medication order, or initiative based on the practitioner-patient-pharmacist-compounder relationship in the course of professional practice.” — United States Pharmacopoeia (USP) 795. 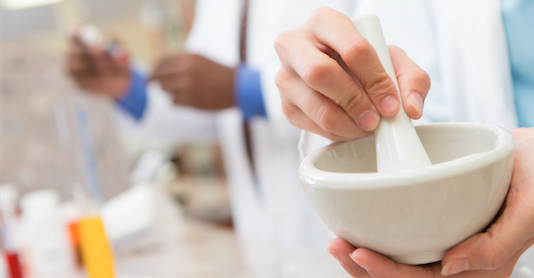 Pharmacy compounding provides a customized option for personalized pain relief with fewer side effects and less overall medication. Compounding can also provide alternate methods of delivery by combining the active ingredients of traditional oral pain medication into topical dosage forms. The balance of hormones is essential to good health and well-being. The goal of hormone replacement therapy is to restore hormone balance within the body as close to natural as possible. At Barths Pharmacy, we compound using Bio-Identical hormones to achieve this goal.